Hiking and scouting can be great activities for children and adolescents. Unfortunately, the offer of backpacks suitable for children is quite limited in comparison for the many options for adults. Backpacks for kids differ from backpacks for adults by having smaller and more adjustable harnesses and narrower hip belts. 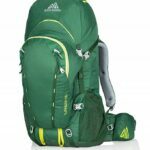 This does not only provide the young outdoor enthusiast with a great-fitting backpack, but also ensures that the backpack can be extended according to the growth of the child into adolescence. Quality backpacks for children thus quickly make the money back as it is not necessary to buy a new backpack every other year for the ever-growing child. Here we selected and reviewed the best backpacks for kids to make your buying decision easier. We included backpacks for different age groups with a volume of 15 to 52 liters. All backpacks listed in this review offer good functionality and adjustability. 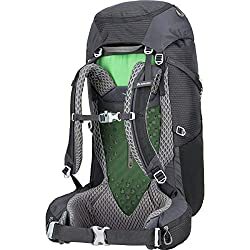 If you are looking for a backpack for adults, please check out our reviews of the Best Daypacks (volume between 15 and 35 liters), Best Hiking Backpacks (volume between 40 and 50 liters) and Best Backpacking Backpacks (volume of 55 liters and up). 1. Buying a backpack for a child – What is important? As hiking is a strenuous activity, a backpack should be as light as possible. This is especially important when it comes to kids as their strength is not yet at the level of an adult. Light equipment will allow them to hike faster and easier. All backpacks in this selection of the best backpacks for kids are lightweight. Read more about why it is important to use lightweight gear for hiking in our article Why hike lightweight. 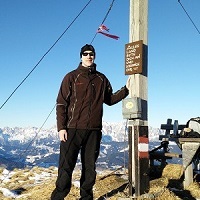 Not every backpack is suitable for every hiking trip as the backpack should be packed relatively full (but not necessarily heavy) to remain stable. We thus recommend backpacks with a volume of less than 25 liters for day trips while backpacks with a volume of up to 40 liters are suitable for two to three days long trips. Backpacks with a volume of more than 40 liters are best for trips that last more than 3 days. However, the required capacity of a backpack also depends on the necessary equipment for a trip. It is not recommended to equip a child or adolescent with a very large backpack for a day trip, unless such a backpack is required. Children grow, and their backpacks should grow with them by having adjustable harnesses. A backpack with an adjustable harness can fit a child for years and thus you don’t have to buy a new backpack every other year or so. The backpacks we have selected below have harnesses that can be extended so much that the backpacks can fit your child for nine years or longer, depending on their growth and final height at adulthood. In the table below, we have described which harness sizes typically fit various age groups, but it really all depends on the torso length and growth of the individual child; some will grow to be very tall, others will remain petite. To determine the torso length of any person, you need to measure the length from the bony bump at the base of your neck where the slope of the shoulder meets the neck (the seventh cervical vertebra – C7; tilt head forward to make it easier to find), and down to the point on the spine which is placed in between the tops of your hipbones (iliac crest). Make sure that the person being measured is standing up straight. Check out the fit section in our Hiking Backpacks Guide to see more about how to take this measurement. Modern hiking backpacks are equipped with sophisticated backpanels which provide good stability and breathability. To achieve the highest level of breathability, manufacturers often add air channels to backpanels. In some cases, backpanels are made of durable mesh fabric so that they create distance between the back and the backpack for better ventilation. A backpack should be equipped with many easily accessible pockets so that the gear can be easily organized. Hydration system compatible backpacks are equipped with a special compartment/pocket for a water reservoir and feature an opening for a water tube. Water reservoirs are becoming increasingly popular among hikers as they allow them to drink without first taking off the backpack to get to the water bottles. Water reservoirs/hydration bladders are, however, usually sold separately; you can check out our selection of the Best Hydration Bladders here. Weight 2 lbs. 14 oz. 2 lbs. 15 oz. 3 lbs. 5 oz. 15 oz. 15 oz. 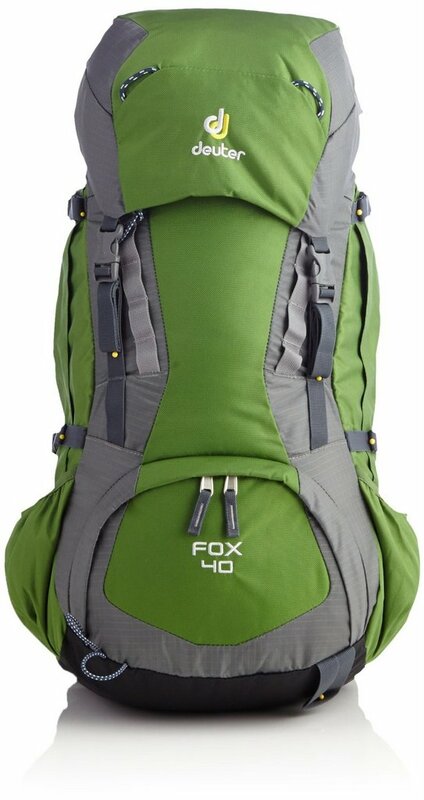 Harness fits torso 11" – 18" 13" – 18" 13" - 18" Up to 15" Up to 14"
The Deuter Fox 40 Kids is a high-quality backpack suitable for two to three days long hiking or scouting trips. It is also prefect for weekend expeditions. The backpack fits children and adolescents with a torso length from 11 to 18 inches (approx. 8-16 years) due to the super adjustable harness with a Velcro system. It is made of 600-denier polyester (Deuter Super Polytex) and 420-denier nylon (Deuter Ballistic) and therefore offers great abrasion resistance and durability. The fabrics also feature PU coating for basic protection against rain. Read more about the materials used by Deuter here. The backpanel consists of two padded foam panels and an air channel between them. Two aluminum stays are behind the backpanel for stability of the Fox 40 when carrying a heavy load. The shoulder straps and hip belt are made of breathable foam and thus very comfortable. The hip belt can also be easily removed in case that it is not needed – for example when the backpack is not filled with heavy items. 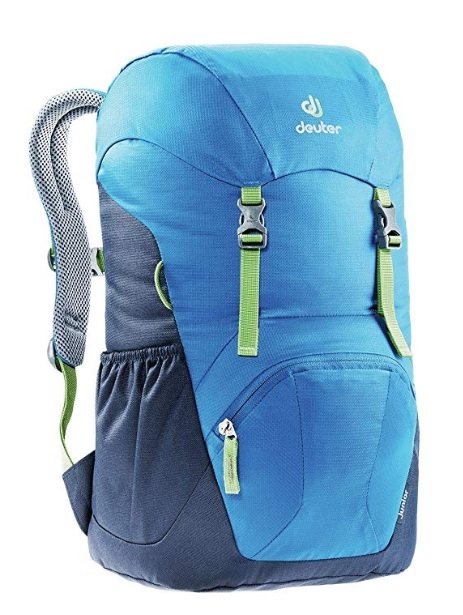 In addition to that, the Deuter backpack features a spacious main compartment (can be accessed from the top as well as through the zippered opening at the bottom), conveniently placed pockets and attachment points for ice axes and trekking poles. 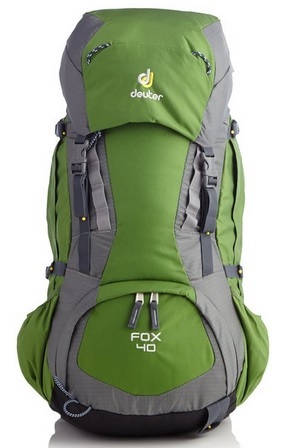 The Deuter Fox 40 Kids offers great performance and adjustability. Therefore, it is one of the best backpacks for kids. 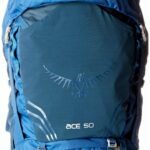 The Osprey Ace 50 Youth is an extremely light backpack that offers superb performance for longer hiking or scouting trips. 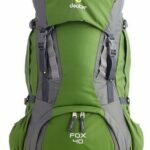 With a volume of 50 liters it is a lot bigger than the Deuter Fox 40 Kids above but, nevertheless, weighs merely 1340 grams. The backpack features an adjustable harness which can be adjusted very precisely. For most backpacks it requires multiple steps to adjust the harness length while Osprey allows you to simply slide the harness up and down until you find the best fit and then you can secure the right position with a reliable Velcro system. The Ace 50 Youth backpack is equipped with a backpanel which is made of ergonomically shaped foam that is covered with durable mesh fabric for increased ventilation. The main compartment features a sleeve for a hydration system and can be accessed from the top or through the zipper at the bottom (sleeping bag compartment). 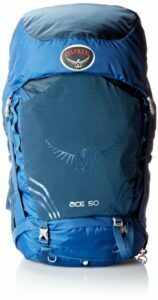 Besides the spacious main compartment, the Osprey Ace 50 Youth is also equipped with an external lid pocket, internal lid pocket, two zippered hip belt pockets, two side mesh pockets and a big front stash pocket. The hip belt pockets are easily accessible even when wearing the backpack and can thus be used for accessories like camera, GPS device or a cell phone. The side mesh pockets are perfect for storing bottles while the front stash pocket can be used for wet clothes and other gear that should not go directly in the main compartment. At the bottom of the backpack there are also straps for attaching a sleeping pad and a pocket in which a rain cover can be stored. All in all, the Osprey Ace 50 Youth is a great lightweight backpack that will satisfy every young outdoor enthusiast. 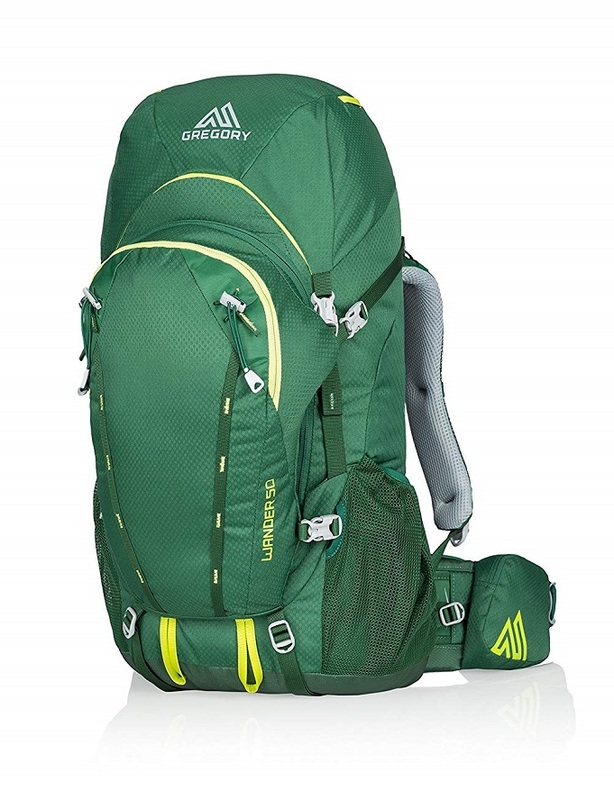 The Gregory Wander 50 Kids backpack is extremely popular among scouts as it does not only offer a lot of space but also great functionality for longer hiking or scouting trips. The backpack is made of very sturdy polyester and thus offers great abrasion-resistance and durability. In spite of the rugged materials the backpack is very light – it weighs merely 3.4 pounds. The Gregory Wander 50 Kids backpack is equipped with VersaFit suspension which provides good load stability and adjustability for the age group 10 – 16 years (13-18 inches in torso length). The backpanel is made of breathable foam and thus provides good breathability. The shoulder straps and fully adjustable hip belt are like the backpanel padded and therefore very comfortable. The main compartment can be accessed from the top, through the zipper at the bottom or through the U zipper in the front. This comes in handy when the backpack is fully loaded. In addition to the main compartment, the Gregory Wander 50 Kids backpack also features a zippered stash pocket on the front side, zippered lid pocket, two zippered hip belt pockets and two side pockets for water bottles. The Gregory Wander 50 Kids backpack is best for those who need a spacious and very rugged backpack for long trips. Due to its great functionality and durability, it’s one of the best backpacks for kids. 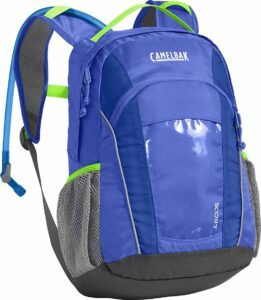 The Camelbak Scout Kids is a great daypack with a hydration system and thus it is perfect for youth that wants a light multi-purpose backpack for day hikes and adventures. Due to the relatively small size (10,5 liters plus 1,5 liters hydration sleeve), the backpack does not have a hip belt as this is only necessary for bigger backpacks when carrying heavy loads. Therefore, it also doesn’t have an adjustable harness (because there is no need to regulate the hip belt position according to growth), but it will fit children and adolescents from 6 to 14 years (up to 15 inches in torso length). 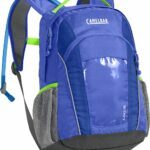 The Camelbak Scout Kids is equipped with a backpanel that is made of foam and provides good comfort level but limited breathability – especially in comparison to the above listed backpacks. The shoulder straps are like the backpanel well-padded and therefore comfortable. There is also a chest strap (with an emergency whistle) for better fit and increased stability. The Camelbak Scout is equipped with a main compartment, external water reservoir sleeve, mesh side pockets for water bottles and front pocket with the key clip. There are also reflective tabs on the backpack for increased visibility. The Camelbak Scout Kids is best for those who want a backpack for outdoor activities as well as for everyday use. The Deuter Junior Pack is a great multi-purpose backpack for kids aged 5 and above (up to 14 inches in torso length). As it merely has a volume of 18 liters, it is best for day trips in nature and everyday use. The backpack is very light (it weighs only 420 grams) and features a well-padded foam backpanel and shoulder straps. Like the Camelbak above, this backpack is not intended for carrying heavy loads and thus not equipped with a hip belt. It does, however, have a chest strap for better fit. 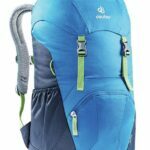 The Deuter Junior Pack features a main compartment, two side mesh pockets, two zippered front pockets and an additional zippered pocket for valuables on the top. The side mesh pockets are great for storing water bottles. On the front side of the backpack there are also 3M reflectors for increased visibility. 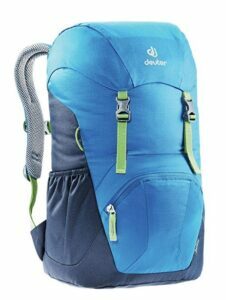 All in all, the Deuter Junior Pack is a great multi-purpose backpack for various activities.